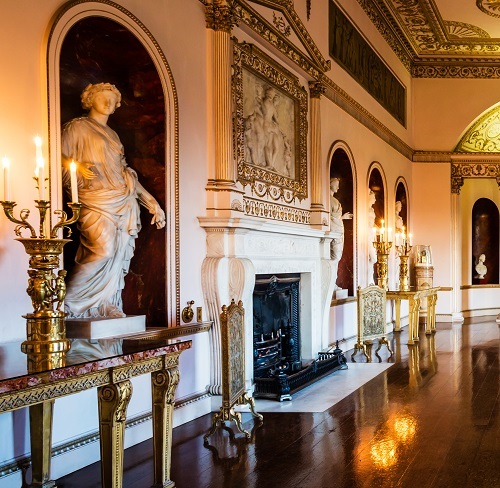 Illustrating Robert Adam’s intention to “parade the conveniences and the social pleasures of life”, every aspect of the State Dining Room with its ornate Corinthian columns and marble statues of Ceres and Bacchus representing food and drink, offers the experience and enjoyment of entertaining on a grand scale. 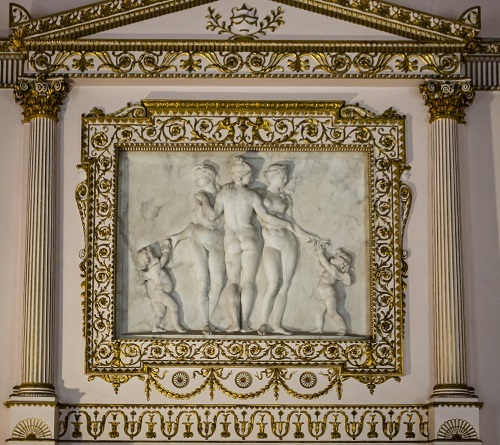 Above the imposing fireplace designed by Joseph Rose, is a marble panel by Luc-Francois Breton of the Three Graces, the daughters of Zeus. The fine clock in the corner of the room was acquired by the 2nd Duke and made in England by Swiss clock maker Benjamin Vuilliamy. Its pedestal contains musical pipes which used to play lively tunes. Gilded candelabras sit on ornate Adam designed pier tables, adding to the opulent atmosphere. Remnants of the state dining table, which ran the length of the room, can still be seen, hidden in a cleverly disguised cupboard. With the dining table stored away; one could make room for dancing and much revelry. 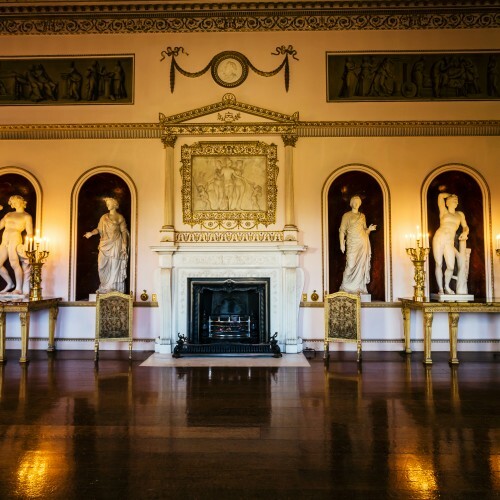 The State Dining Room is still used for many celebrations today.